If you were thinking that Poland is a country of absurdities only because of recent political developments, you were wrong. The absurdities are rooted much, much deeper, and a recent case, that stormed the media headlines is a great example of that. 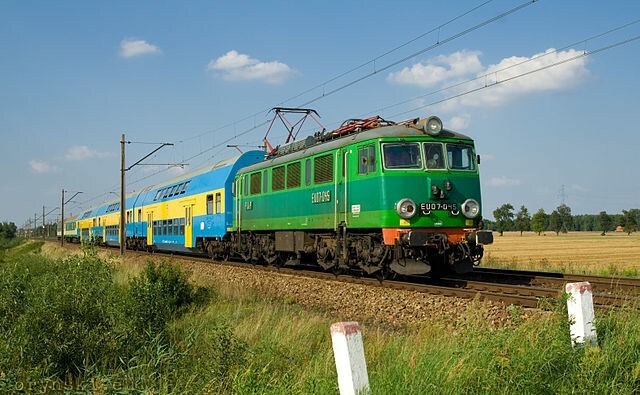 A young pupil was allegedly thrown out of a train by the ticket examiner and had to walk along the tracks for several kilometres. Why? Because his student’s ID card was not stamped for the year. It was not stamped, as due to recent educational reform, there were significant administrative changes, and his school is now called something different that it was before holidays. As it is one of hundreds schools in the same situation, there is a huge delay in obtaining new stamps, as there is only one company in the whole country that is allowed to manufacture official stamps for the schools and other state institutions. So as you can see, current government can be of course to blame for a hasty reform pushed despite warnings, that the system is not ready for that, but here we stumble upon underlying problems. First of all: why there is only one place in a whole country from which schools can obtain an official stamp? But then, even more: why on Earth a 12 years old boy, who by law has to be attending school in any case, would have to prove his right to a discount price ticket with an official stamp from his school confirming that he is a school pupil? But, why we still talk about such grim things? Let’s look at something positive, I have good news this time: a mass prayer on the Polish border (see previous chapter) have indeed resulted in miracle! Poles are now literally walking over each other’s heads to welcome Muslims in Poland. Hundreds of families can’t wait to have a Muslim staying literally under their own roof with them… Ok, it’s enough, I guess most of you would not be fooled into thinking, that Poles suddenly loved refugees anyway, and you would be right: the case is a bit different. Kuwait sends his navy officers to study at Polish Naval Academy in Gdynia. They want for those young officers to not only learn about sea battles and navigation. They would also want for them to know Polish culture and language. Therefore they are seeking families, that would be happy to give them lodging. Ok, you could still think, that with current anti-Muslim propaganda, the overwhelmingly positive response could still be considered a miracle. But I doubt that. The secret lies in the fact, that such families would be paid 2000 Euro per month. This is why the response was so overwhelming, that the Naval Academy had to employ one person just to answer phone calls on that matter? But this is not the only case when PiS is trying to change reality. Let’s look at the protest of the young doctors. After their demands of the reform of the doctor’s training system, limiting beaurocracy and raising funding of the healthcare were ignored for years, they went on hunger strike in a desperate attempt to draw politician’s attention. PiS controlled state TV TVP did everything to ignore it, and was fighting with internet users demanding that it would pick up the subject (see previous chapter of this series). But finally, their changed their mind and they started to “inform” about doctor’s strike. Oh, they did went far. The question was biased in the beginning, as nobody denies, that specialist doctors can earn really good money if they are ready to work in two or three jobs. But to become a specialist, one has to go through the residency stage, and be paid those 2300 zł per month. For six years, so when they finally go past that stage, they are about 35 years old. Resident doctors: 3500 zł raise is not enough. So this slander was instantly debunked. But it has not ended there, as the internet never forgets. It just happened that just last year TVP was trumpeting different agenda. Back then, they were doing everything to convinced their viewers that Poland should not take any refugees. They made a reportage from the Polska Pomoc program to show, that helping them where they are is much better, and dr Pikulska was shown there as a hero. This archive reportage went viral and soon become one of the most popular pieces on the TVP website. You could think, that after shooting themselves in their foot so spectacularly, they could not make things any worse. Similarly, the archival material about why there is not enough doctors in Poland, that looked into the matter and concluded, that doctors emigrate as they can’t earn a living wage in Poland, was replaced with the material entitled “inexperienced doctors demand billions”. Of course TVP blamed “technical difficulties”. Of course we believe them, as they are most reliable source of information, aren’t they? Why would anyone assume, that they did it on purpose, nobody can be that stupid, right?